Mont Tremblant offers great skiing with breathtaking views of the Laurentians. Our hotel, The newly renovated Tour de Voyageur https://www.lessuitestremblant.com/fr/hotels-condos/tour-des-voyageurs/, is located at the heart of the picturesque ski village, and sits just steps from the Cabriole lift. The pedestrian village is renowned for its European charm and features many restaurants, bars, and shops. 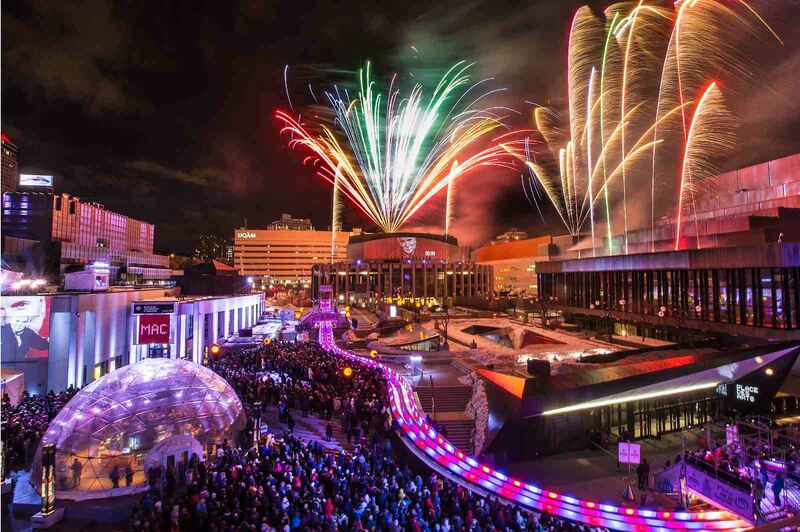 MONTRÉAL EN LUMIÈRE is one of the largest winter festivals in the world, an annualcelebration combining performing arts, gastronomy, and free outdoor activities. Experience Nuit Blanche, an exhilarating all night extravaganza that caps the Festival! featuring over 100 boutiques and restaurants, the prestigious Place des Arts, and famed Saint Catherine Street with shops and restaurants, bars and night clubs. Mont Tremblant Village - steps to the Cabriole lift. Note: If you'd like to extend your trip, pre-trip or post-trip extension is available at both hotels. For more information, inquire with the Trips Leaders.